Information and guidance for potential and current charter school authorizers. 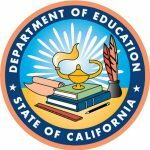 The mission of the Fiscal Crisis and Management Assistance Team is to help California’s local educational agencies fulfill their financial and management responsibilities by providing fiscal advice, management assistance, training and other related school business services. The Center for Research on Education Outcomes (CREDO) is committed to improving the body of empirical evidence about education reform and student performance at the primary and secondary levels. NACSA is an independent voice for effective charter school policy and thoughtful charter authorizing practices that lead to more great public schools.